“I had come to the U.S. from my home in Mangalore, India, to get my masters degree in mechanical engineering from Michigan State University,” says Ganesh Shenoy. “The U.S. was known as the land of opportunity, and I thought that getting an advanced degree would help get me started in my career.” Ganesh’s ambition vaulted him up the corporate ladder, and he soon worked his way up to recruiting manager in the automotive industry. But rather than feeling a sense of accomplishment, his career left him with him with a gnawing frustration, and very little time. Though successful, he hadn’t come to the U.S. simply for the opportunity to work in a cubicle. When a friend gave him the chance to open his own business, Ganesh jumped at it quickly. What little spare time he had, he devoted to his business. Unlike his corporate career, he felt he was finally on a path that would give him financial independence. After six years of building his business in his spare time, at the age of 30 he was able to walk away from his job and devote himself full-time to his marketing business. As Ganesh has achieved success in his business, he also gives his time and energy to support worthwhile charities. He is especially active supporting Easter Seals and the U.S. Dream Academy, due to the programs these organizations have developed to meet the needs of children and returning veterans. “My business has given me total peace of mind. 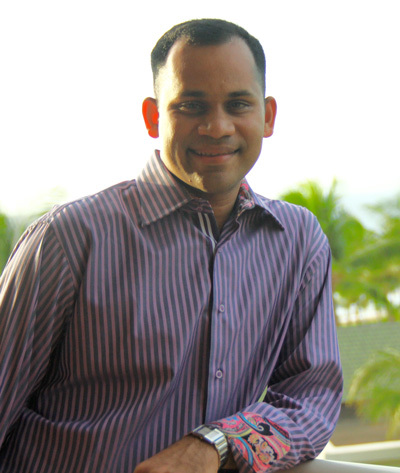 I can’t even put a price tag on having the freedom to spend my time based on my own choices, rather than answering to a manager as an employee.” Ganesh Shenoy came to the U.S. looking for the land of opportunity, and created his own opportunities as an entrepreneur. Today he travels throughout the world mentoring others who also have a dream of opening their own businesses.